Hello, my name is Max. I am 3 grade. I am at Little Sun School. 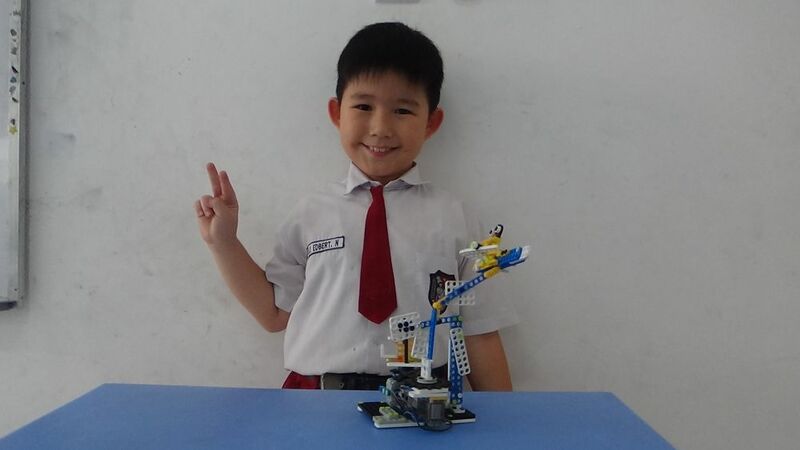 We work at Robotis Kidslab Indonesia. This is a white claw and this is a people loading in aeroplane. This people looking at aeroplane flying. Aeroplane was going to singapore. The motor slow spinning then the aeroplane can move around. If we want to go back just switch up, if we want to go front switch down. If want stop, just switch in the middle.